What data does the Application obtain? The Application does not require registering an account to function and does not collect, transmit or share any personally identifiable information including name, address, telephone number or email. The Application does not store IP address information or track usage for analytics purposes. Data relating to third party websites accessed via the Application such as cookies, cache, bookmarks and history information are stored locally on the device and may be removed at any time by selecting ‘Clear website data’ from the settings page. 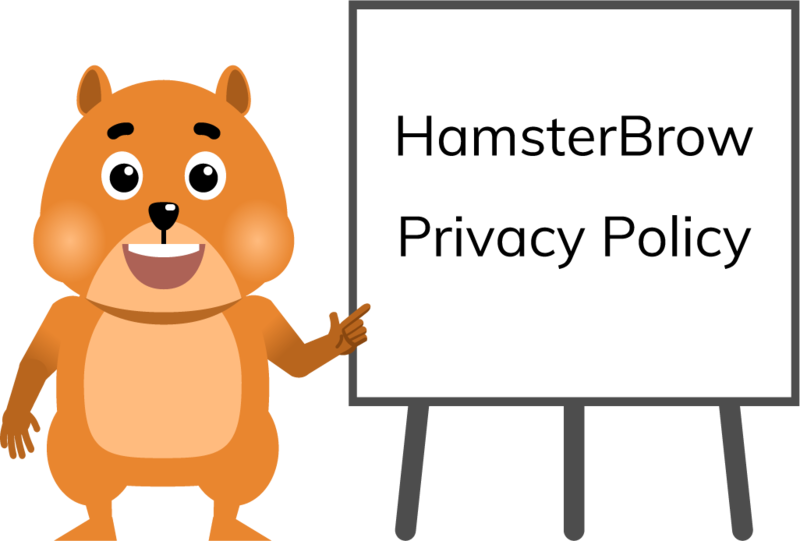 Browsing data may be synced to iCloud with the ‘HamsterBrow Pro’ in-app purchase. This includes bookmarks, history and offline file information, however, the Application does not have access to iCloud for any other purposes and does not store the login credentials for the account. Third party websites accessed from the Application may request geographic location data, however, this information is not stored by the Application or used for any other purposes other than those required by the websites involved. All data relating to the usage of the Application may be removed by uninstalling the Application from the device. In cases where the ‘HamsterBrow Pro’ sync functionality has been used to store browsing data in iCloud, this may be removed via the device settings ‘iCloud Storage’ page. © Chris Tan 2018. All rights reserved.